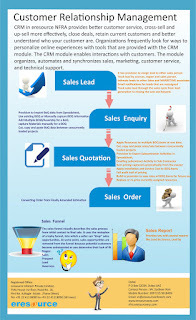 The eresource ERP CRM module helps you know your customer better and includes many features such as activities, history, related contacts,(http://www.eresourceerp.com/how-will-ERP-CRM-help-my-business.html) addresses of your customers and their relations with your competitors. The flexible database structures enables you whatever information you would like to keep on your customer and maintains such information for your future reference. from offer to invoice. 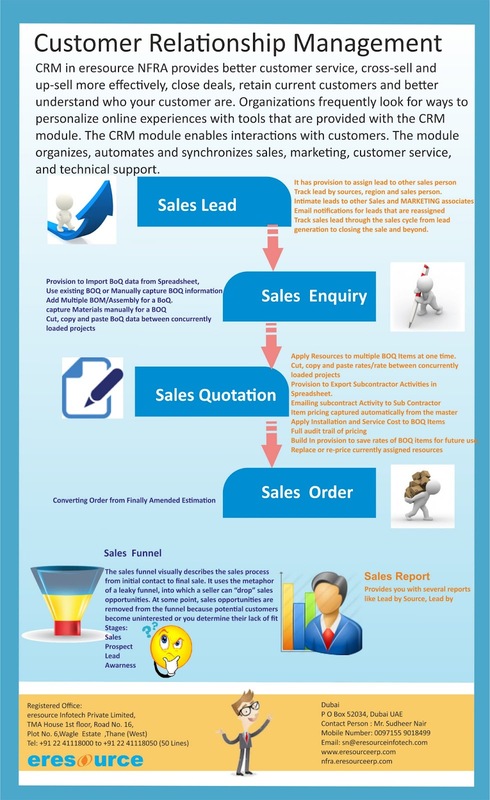 It empowers your sales staff by providing details such as inventory status, estimated costs and delivery time, risk status, habits and special demands, and previous trades during offer stage.